The More Things Change...: Deinstitutionalization Deja Vu for Norristown? This is actually my first post on that ever-controversial subject of HOUSING, Fair, Affordable, Subsidized, call it what you will. It won’t seem that way, because the immediate subject is a specious "threat" to housing in Norristown. I begin with it because that allows me to dismiss the threat as nonexistent, freeing me in later posts to focus on the relevant issues. Doing it this way also allows me to demonstrate that even “authoritative” sources should be viewed with a skeptical eye, and I never miss a chance to make that point. Deinstitutionalization is the word used to describe a period when society concluded that treatment of needy individuals is better accomplished in a community setting than by incarcerating them in institutions. It is considered to be an outgrowth of the Civil Rights movement. Until 1963, standard policy had been to send the mentally ill or the mentally retarded away, to “institutionalize” them, due to the cultural stigma surrounding both conditions. In 1963 President Kennedy signed the Community Mental Health Centers Act, which initiated a new national policy to serve people in the community, in “the least restrictive environment,” and not isolated in hospitals. The Commonwealth of Pennsylvania followed in 1966 with the Mental Health/Mental Retardation Act. The state’s plan was to grow the community based services the former patients being released needed. At least that was the way it was supposed to go. The release of people judged capable of living in a community environment with varying levels of assistance proceeded apace; by the late 1960s Norristown State Hospital (NSH) was releasing people in accordance with the directive. This is not well understood locally; most date deinstitutionalization after “the Broderick Decision” in Halderman v. Pennhurst, which was issued in 1977. The Pennhurst case contributed to the local wave of deinstitutionalization, but Pennhurst was a state hospital that housed only persons suffering from mental retardation. Norristown State Hospital housed only patients with mental illness. There were many court decisions involved in the overall process, but they became subsumed into a national advocacy movement for several groups of people. Unlike Pennhurst, Norristown State Hospital was not closed down, but it did discharge many patients judged capable of living in the community with assistance. 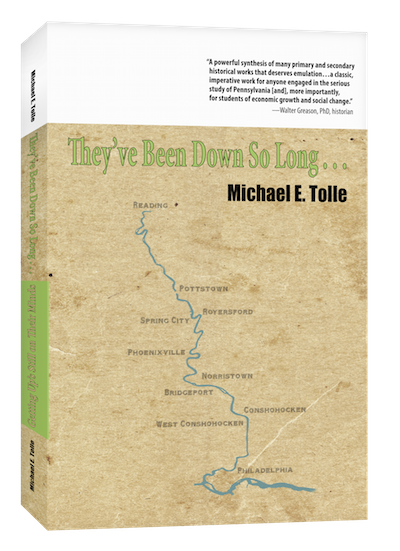 The subsequent experience of both the individuals themselves and the Norristown community into which they were inserted provide a microcosm of what happened nationally. Neither the Federal Government nor the Commonwealth (nor any other state, for that matter) ever provided the funds necessary to properly establish, let alone grow the community services that both the mentally ill and the mentally retarded needed so desperately. The level of support some of these people needed was underestimated, as was their economic situation. These people were not only poor, most had little or no experience in the commonplace events of holding down a job or living in a community. Deinstitutionalization was yet another example of a good idea that suffered greatly in its execution. It was a national disaster, pretty much all the way around. What should have improved the conditions of its intended beneficiaries did for some, but consigned far too many to homelessness and life on the streets. Locally, it removed NSH as a community asset it had always been, one of Norristown’s largest employers. The exact number of how many people moved into some form of assisted living—as well as where they were moved to—is lacking, although an attempt was made to reintroduce as many as possible back into the communities from where they had come. scattered about the borough to the dismay and annoyance of many a citizen." The quote is twice unfortunate; unclear on actual numbers and confusing in its use of terminology. How many constituted “quite a few”? This would have been useful to know, because sixty-five halfway houses is a large number, particularly as halfway house sounds suspiciously like “group home”. The phraseology certainly leads you to believe that rather more than sixty-five individuals were causing “dismay and annoyance” in Norristown that year. Even greater confusion arises from incorrect terminology. A “halfway house” is one housing alcohol or drug patients on a temporary basis. They do not house those with mental illness or mental retardation extensive enough to have hospitalized them in the first place. Besides, the assistance needed by such people is permanent; there is no “halfway” involved. “Halfway house” had already assumed the status of all-inclusive buzzword, and its use only serves to confuse, not enlighten. 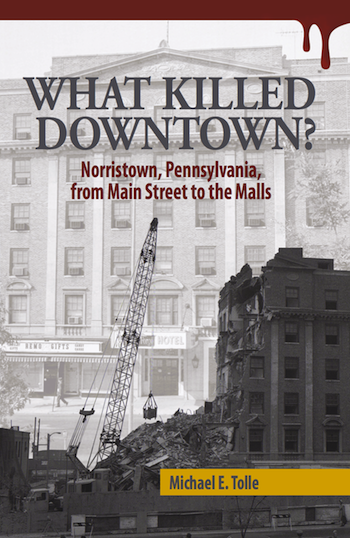 This conflation of separate subjects has assumed the status of conventional wisdom among those that lived in Norristown during that era, and left a residual fear that it could happen all over again. This is why the numbers do not matter; the perception does. A document entitled: “2012 Analysis of Impediments to Fair Housing Choice for Norristown, ” prepared by Urban Design Ventures, of Homestead, Pa., stokes that fear. 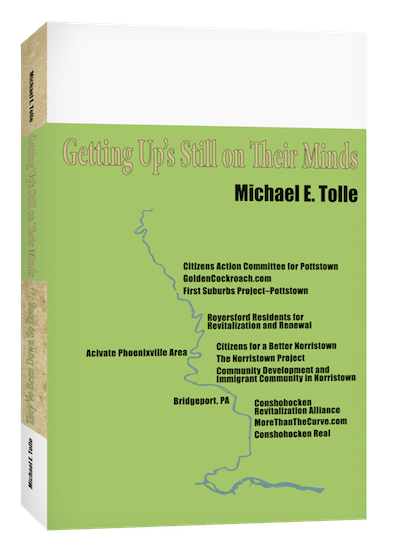 It is the kind of official document one sees frequently these days, a combination of American bureaucracy and Maoist “self-criticism,” wherein municipalities or programs sum up what they have failed to accomplish and lay out how they are going to correct their shortcomings in the future. It was generated, I suspect, by the mounting complaints about how housing choice vouchers are being distributed in Montgomery County (more about that fascinating subject next week!). It can be found on Norristown’s website. I will reference it again, on the subject of “fair housing choice” itself, but the document also addresses the possibility that mental patients might be released into Norristown once again, perhaps even replicating the town’s previous experience with deinstitutionalization. This must be disposed of before we move to actual problems. There are two problems with this statement. First, it appears to assume that a reduction in the number of mental patients at NSH is actually being planned. There is no—repeat no—evidence that such a move has even crossed anyone’s mind. Norristown State Hospital is a mere shadow of its former self, but it remained open when several other State hospitals were closed, and is now an integral part of a regional program of health services. Second, the sentence’s tone seems to indicate that there are many mental patients still in NSH, enough for their release to impact the municipality’s housing market. This is also not true. Although NSH now serves the entire eastern half of Pennsylvania, its mental population is capped at eighty-six beds, with each county allotted a specific number. There are actually some 130 people housed there at present, the result of other counties exceeding their caps, as ordered by different courts. These are actually patients from the criminal section, which is a cause for concern. Of these 130 however, only twenty-two beds are allotted to residents of Montgomery County. Even if some court were to order NSH closed (a more than far-fetched proposition), only those twenty-two people would be released into Montgomery County, and not all into Norristown. The remainder would be sent to their home counties. But that's not going to happen anyway. Deinstitutionalization in Norristown is over, and it's not coming back. It is long past time to focus on real issues.